You have weaved a compelling story around some provocative ideas. The research that had to be done in order to produce the book is overwhelming. You go into so many areas of thought that the reader has to pause and ponder and perhaps even to do some further research himself to fully understand what is being said. The dialog moves the story forward nicely and keep the interest of the reader alive... Coils is a good read. I thoroughly enjoyed it. I just finished reading your new book--I loved it! First, I couldn't put it down. The story was compelling, the religion was fun, and the politics was a hoot. This book was so exhilirating I couldn't put it down!! It has a great beginning and takes you through an exciting whirlwind of events which lead to a startling ending. A must read for all..I highly recommend it!!! Well written and exciting... Kept me on the edge of my seat until the very last page...I would recommend this book to anyone looking for a book they can't put down! Thanks for such a great book! The premise of this book is fascinating. I have read a great deal about the bible and ancient myths, but I was stunned by this theory and approach. Lutz is doing for the bible what Robert Graves did for greek mythology. There was a great deal about biology that I didn't know, and Lutz found methods to explain it all in simple ways that were understandable. The biblical references are ones that are ingrained into the Judeo-Christian culture, and yet he analyzed them with a fresh mind. I love the idea that we believe we are correctly-thinking in the moment, and it is only on reflection we later see we may have been wrong. He obviously has done a great deal of research, and brought it all together in an entertaining and amazing story. And who knows, it could be true. Why not? There is so much about the history of our planet that we don't yet know. I am telling everyone I know about this book. It's been a bone of contention for many, many years. On the one side, churches have denounced the ideas of evolution as they proclaim the Bible's explanation of how man came to inhabit the Earth as the absolute truth. The other side is flanked by scientific thought, saying the idea of a divine Creator has no merit in a world where proof is needed. Now, along comes Raymond Clark Lutz, who has merged the two theories into Coils of the Serpent. Although a work of fiction, Lutz has studied both ideas and utilizes actual writings to weave the plot of this fascinating tale. The story revolves around three friends who met though a book group. They begin discussing the differences between the two theories and cannot seem to come to a meeting of minds, per se, on the topic. One day, a stranger appears and challenges them to find proof of DNA in God's Word. Thus begins a startling quest to discover once and for all how man was created. The plan is thwarted by a group of fundamental Christians who run a camp for troubled youth. One of the three friends is clearly a believer in Creationism and is perplexed by his angry feelings as the others try to sway his beliefs. Although having agreed not to discuss their research with outsiders, he takes his questions to his minister, who then talks to the Bishop about them. Unbeknownst to any of them, the Bishop is behind the youth camp and has some fairly shady dealings with the government. As the story unfolds, the intrigue builds. It soon becomes a hard book to put down. Written in short, punchy chapters, Lutz draws the reader into the book and doesn't let go. Before you know it, you are so enthralled with his ideas you will continue to read long past when you should have taken a break. Even though this is a fascinating study of Creationism and Evolution, it's not a book you can read quickly. Lutz takes the time to explain the concepts of DNA and the fall of man. The reader would do well to think about what Lutz is saying in order to understand the plot. I found this book particularly intriguing. While studying for my degree in social sciences, my anthropology instructor once said that, someday, a connection would be found between these exact same theories. Armed with that belief, I dove into this book with enthusiasm. Whether or not I agree with Lutz's take on the ideas, I truly enjoyed the way this story played out. I especially liked watching the three friends as they worked to resolve their differences, while at the same time, attempting to maintain the camaraderie that is being threatened by their opposing viewpoints. Due to the technical explanations Lutz provides, Coils of the Serpent did take longer to read than most, but it is well worth the time. Readers on both sides of the fence will find something to like about this tale. This writer takes on subjects like DNA, evolution, Creationism, and God in this novel. It's a lot to handle, and for the most part, he does a good job of making sure all sides are covered. His characters discuss DNA at length, explaining it clearly and slowly, which shows how carefully researched the novel is. He also weaves in an FBI investigation, which is also painstakingly researched. It was a good decision to put people with different points of view in the book -- not only is there a Christian, but there is an agnostic scientist as well. I admire the courage it takes to write about such touchy subjects. I absolutely could not put this book down! The characters were finely drawn, and the action was nonstop. I was extremely impressed by the intense research the author did in putting this novel together. I found myself fascinated, and taking notes throughout. I actually pulled out a bible and did comparison readings, right along with the 3 main characters. As if the actual story of the scientic inquiry of the bible wasn't enough, there is a concurrent story that will also hold you in it's grasp. I actually forgot I was reading a story at some points, and raced along to find out what happened next. If you enjoy thinking and reading at the same time, as well as reading just for pleasure, then this book is definitely for you. Regardless of where you place yourself in the debate of science/evolution versus literal translation of the bible, you will find much to think about in this book. I highly recommend it to anyone who has grappled with these issues, and I am sure that you will find yourself questioning your previous thinking on the subject. I certainly did, and did not expect to. The richly drawn characters, well thought out and researched plot, and the questions raised will remain with you long after you finish the book. Can science and religion co exist? Can science and religion co exist? Coils of the Serpent takes the reader through a scientific and Biblical debate like no other. Three friends: Dan, an easy-going agnostic scientific genius whose father was a theology professor who mysteriously died 25 years ago. John, a self made financial whiz who found his rock in Christianity after battling substance abuse issues. Lastly, Shannon, a biotechnology grad student who was raised Catholic but retreated from religion due to conflicts with her scientific beliefs, evolution and the subservience of women by the church. These three friends met through a book club and built a relationship where they gathered weekly at a coffee shop. Until a mysterious "homeless" man shows up and asks them "Does the book of Genesis teach about DNA?" That question takes these friends on an adventure while wrestling with the foundations of their belief systems, extremists, political corruption, intrigue, murder, and their personal feelings. Russ Hall, an FBI agent assigned to a missing person case of a troubled teenager named William Freeman. Freeman was sent to the Pacific Institute of Theology for Youth after running into some trouble and was though to be progressing quite well until he just "disappeared". This wasn't Agent Hall's first run in with the PIT (Pacific Institute of Theology), his first missing person's case was that of Dan's father, George Stanfield, 25 years ago when he was a new agent. Mr Lutz' thorough research and ability to explain the complexities of DNA makes this book an enjoyable read and I feel like I learned so much about DNA. I was hooked! I enjoyed the reeducation of the book of Genesis, the Gospels, Jesus, and the Crusades. The plot is amazing, I felt connected to the characters, and my imagination soared. I salivate at the thought of being able to sit it on a discussion of the magnitude Dan, John and Shannon had. As an evolutionist myself, I definitely questioned my beliefs. I ended this book exhilarated and ready to research. I only have one complaint, though, what about Mrs. Freeman? Although, we already "know" about Will, I would like to have read about Agent Hall following up with her. 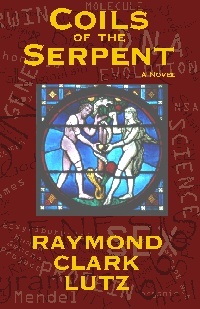 Raymond Clark Lutz' Coils of the Serpent will take you on a wild, scientific thrill ride of DNA, the book of Genesis, extremists and political corruption. I definitely recommend this book if you are open minded! A missing troubled teen, the mysterious death of a father, DNA, Genesis. What could these things have in common? In, Coils of the Serpent by Raymond Clark Lutz these things are drawn together in a very unique way. Three friends talking in a coffee shop are approached by a homeless stranger and started on a wild and dangerous journey thorugh science, the bible, and the church. Trying to find any relationships between modern DNA knowledge and passages in the Bible the friends begin to discover amazing parallels which might change our view of the world. Knowledge that some may want to keep hidden. Each character represents a different area of knowledge. Shannon is a biotechnology student who has lost her belief in religion as her scientific knowledge grows. John has a strong faith which has seen him through tough times. Dan is the middle of the road questioner who has an interest in both sides. Each of them will start to question what they have held as true and their friendship may suffer. Add to all this the side story of FBI Agent Hall who is looking for a troubled teenager missing from a religious reform school. His investigation will reopen his interest in a twenty-five year old mysterious death case. Could any of this be related? I was grabbed from the very first page. The author's descriptions of the characters surroundings made me able to invision the settings and feel like I was there. There is a lot of scientific knowledge in this book and I learned more about DNA then I ever knew before. These parts are written in a way that even someone with no scientific knowledge can understand them. 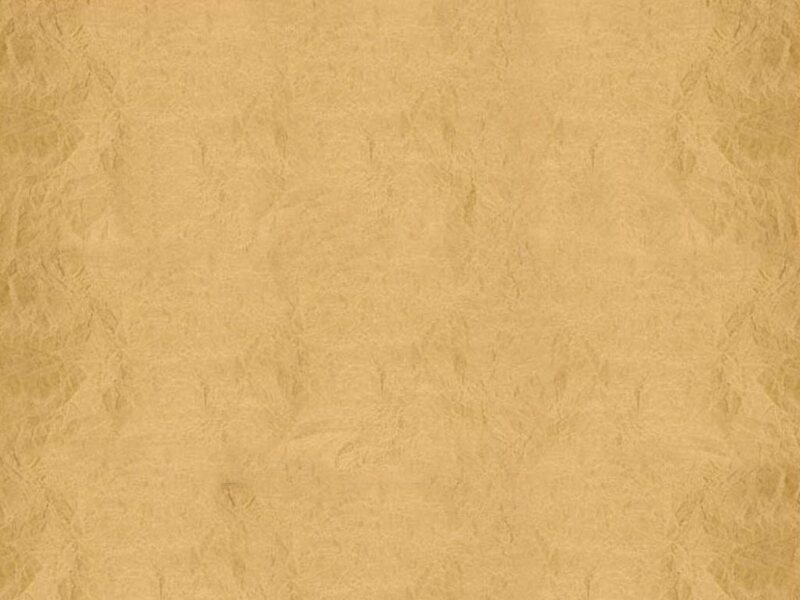 Many quotations from the Bible are included as well to help show the links. Enough Bible and religious history is given to help the reader understand and by able to make their own connections between it and the science. Even with all the in depth scientific and religious information it is a very readable book. This book explores ideas that I have never thought of or read about before and it left me with a lot to think about. It will have you talking.